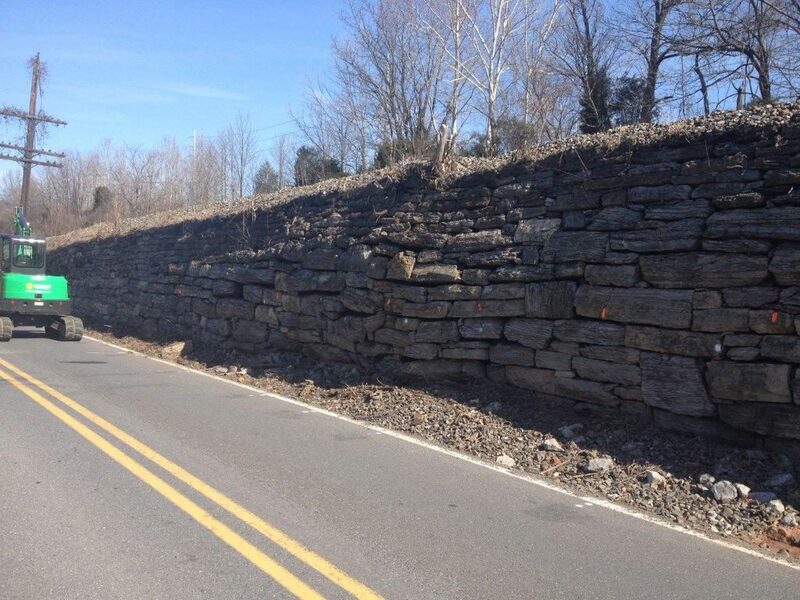 This project called for a wall stabilization which consisted of the installation of 93, 30-foot solid bar nails into various underlying geotechnical conditions. 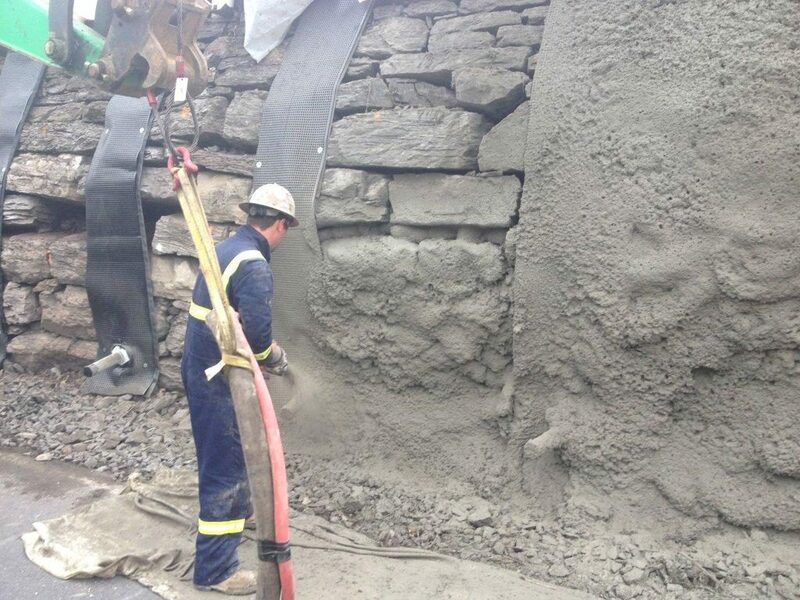 Also, a two inch construction layer and a six inch final face of shotcrete was applied to unify and support the existing masonry wall. This particular section of track would not pass current railroad safety standards. 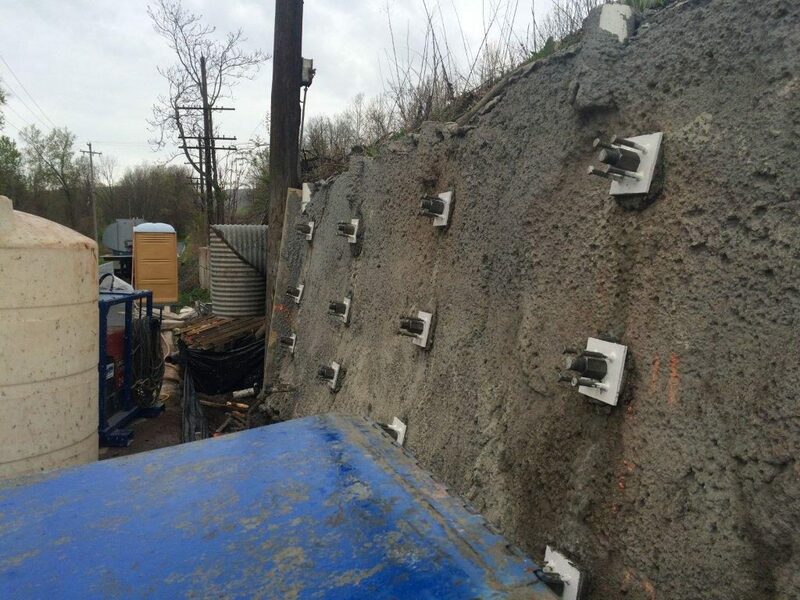 To mitigate risk to rail and road traffic and to navigate the limited site access, a soil nail and shotcrete remedy was designed and implemented. 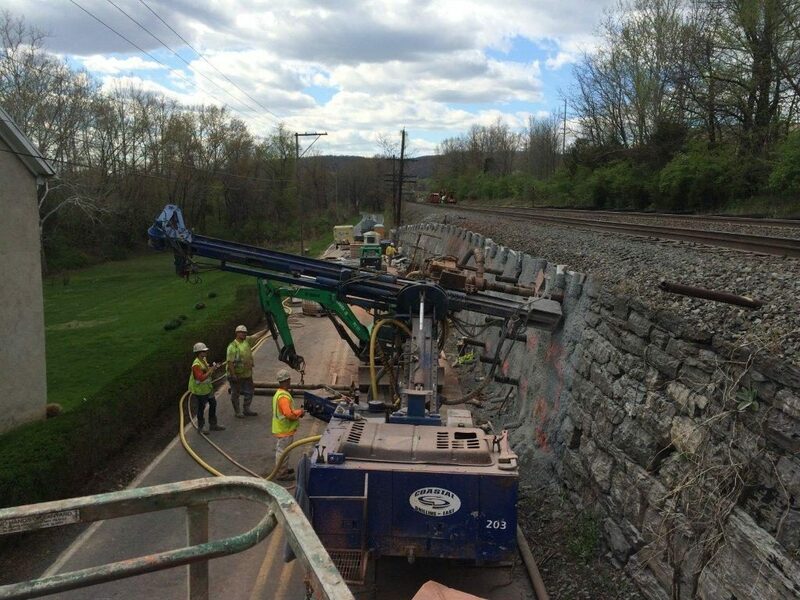 The challenge on this project was to repair an existing wall supporting multiple tracks on an active railroad. 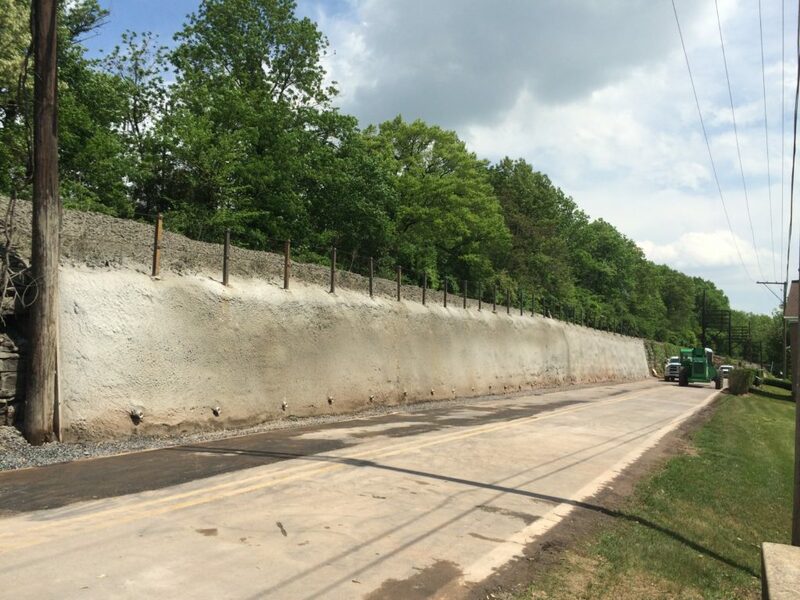 Further adding to the difficulty, the project was located on an active two-lane roadway. 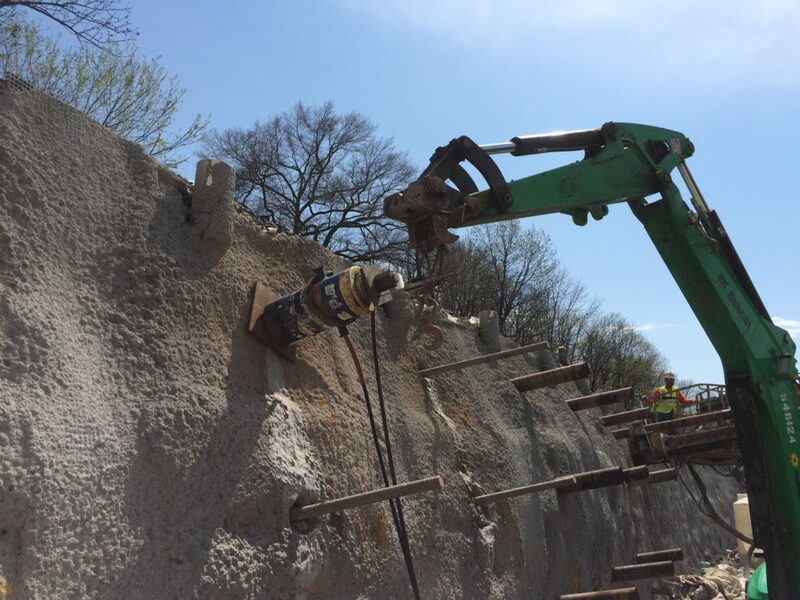 The underlying complex subsurface conditions and site constraints lead to the utilization of a soil nail and shotcrete wall. 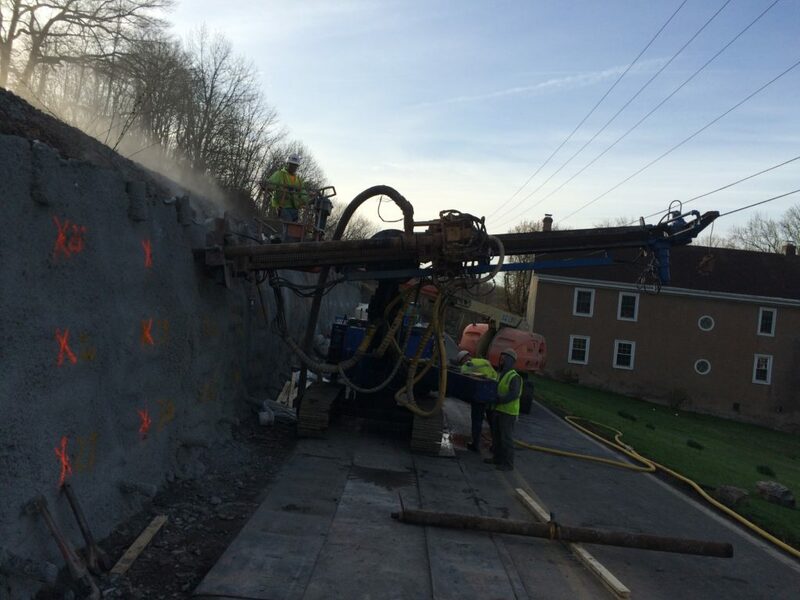 Coastal Drilling East was tasked with the installation of 93 soil nails and 8 inches of shotcrete on an existing wall face. 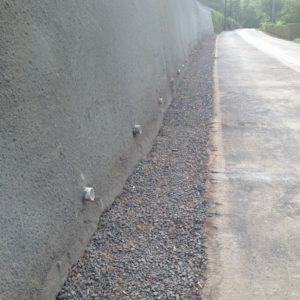 Due to the lack of structural stability of the wall, a 2” construction layer had to be installed prior to installation of the soil nails. 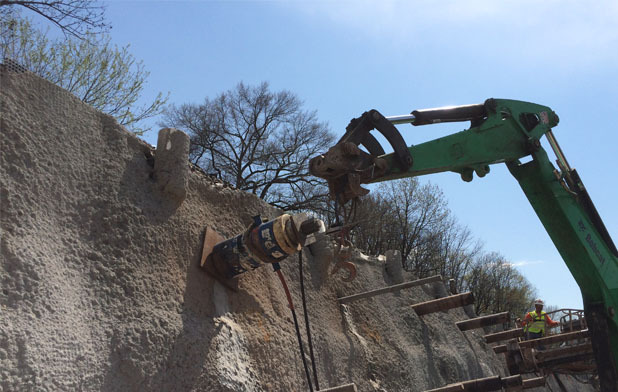 Due to the geological conditions of the site, duplex drilling was required to stabilize the drilled hole. 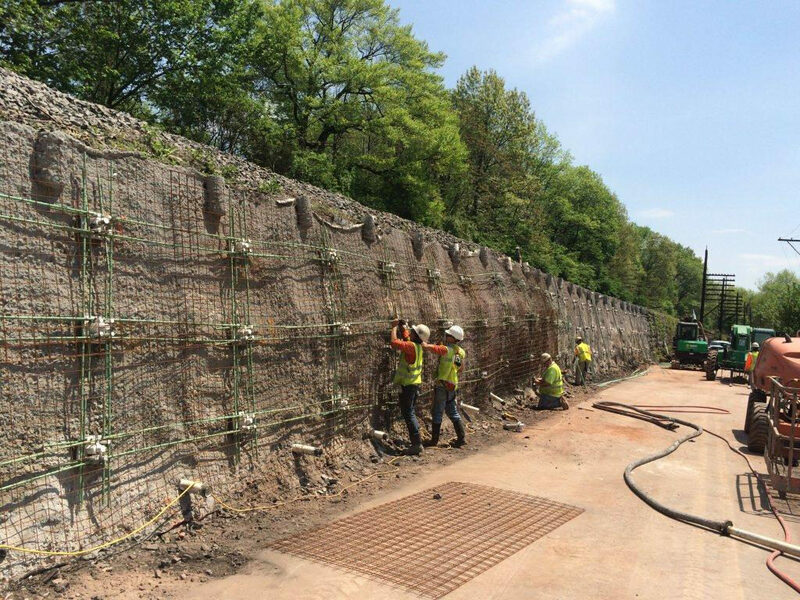 The final shotcrete layer required continuous horizontal and vertical rebar and welded wire mesh. Also, geo drains and weep holes were installed to ensure the longevity of the repair. A hand rail was required along the top of the wall per railroad safety standards. Furthermore, all work was completed on an active two-lane road. This led to a very limited lay down and work area. 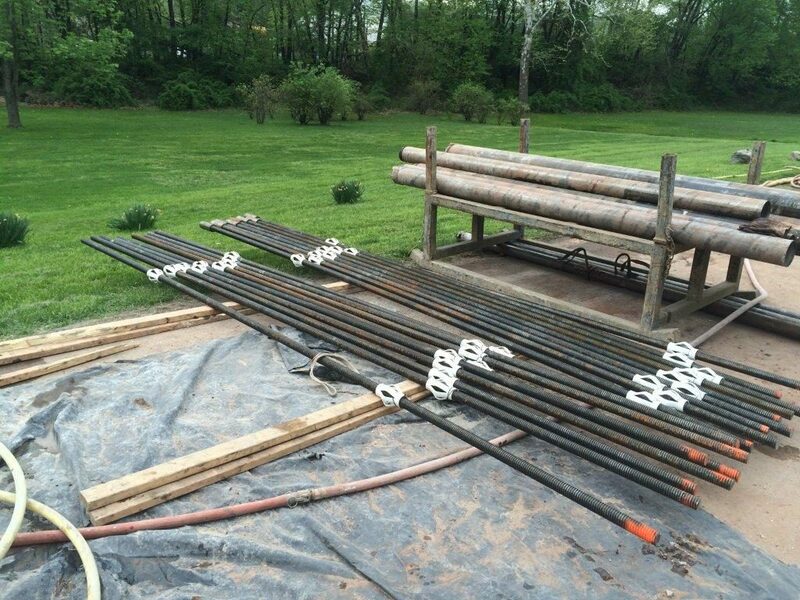 Additionally, to verify design and installation methods, five percent of the installed soil nails were tested.